Modern women no more shy away from following their passion. Be it setting up own businesses, or pursuing their love for dance, or taking a plunge in their favourite sport, they continue chasing their dreams. But many a time, despite mental toughness and resolve, their bodies prevent them from giving their best. Constant fatigue, tiredness, frequent headaches, hair loss, etc., are some of the issues that challenge them on regular basis. These are among the common symptoms of iron deficiency and can get in the way of their goals. 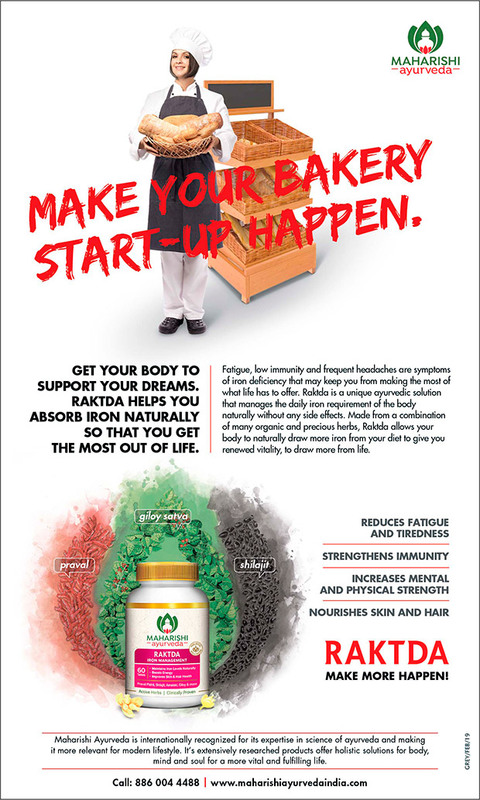 Raktda, a unique ayurveda solution for iron deficiency from Maharishi Ayurveda, taps at this insight in the latest print campaign conceptualised by Grey group India. Raktda works with the natural intelligence of body and enhances its ability to absorb iron better from the everyday diet. “The iron supplements category has by and large operated at a functional level in India. We wanted to reposition the category and shift the focus of conversations from the product to the aspirations of women, thereby building stronger relevance and affinity for the brand in her life,” said Ramesh Yadav, Global Head, Marketing, Maharishi Ayurveda. “Raktda presented an exciting opportunity to create conversations around the importance of iron in our dietary regime. Given the lack of education around this category, we had a dual pronged challenge of creating condition awareness while keeping the aspirations and realities of today’s women at the centre,” said Ketan Desai, President and Growth Officer, Grey group. For over 35 years, Maharishi Ayurveda has been making the science of Ayurveda more relevant for modern lifestyle. With footprint in 40 countries, its researched products offer holistic solutions for body, mind and soul for a more fulfilling life.